Totally up for it if Kyoko is. Kyoko is down for the duel!! (so to speak...... ) Let's go!! With a firm expression, Takeshi glanced around the skatepark, and at all of his friends, and, with a tiny sigh, he remembered briefly how long ago it had been since he had first met them. Three months, and here he was, so very close to each and every one of them. His eyes glanced briefly at Toshimo, flickered to Kirimei, then landed on Shiromi, who was currently tuning his guitar, and grunting when he didn't get it right the first time. For a moment, Takeshi considered walking over and helping him, but instead glancing over toward the ramp, where Kyoko tested out a new move, and Toshimo watched; Takeshi supposed he was scrutinizing the trick so he could do it, and make Kyoko angry like he had done so many times before. Again, Takeshi's violet eyes flickered over to Shiromi, and he hesitated for a moment before stepping over slowly. He stepped up behind the boy, before sliding onto the table, all the way over to where Shiromi sat. Takeshi let his legs hang over the side of the table as he looked down at Shiromi's guitar. He let his hand hover next to the neck of the guitar, before leaning forward and snatching it away from him. He did a quick test of the tuning, corrected two strings that were slightly off, and passed it back. A light smile lifted his lips as he looked down at Shiromi and murmured, "There you go." Kyoko heard the light strumming of the guitar. A faint smile appeared on her painful head. Her headache seemingly disappeared. Her mind now focused on the music. Only, the music. She flipped her board into her hand and ran over. Though she wouldn't sing or play for her friends, she was very talented in both, she would dance. She sighed, her mind resuming its usual patterns. She began to think of her life and her friends. What she was hiding from her friends. Her, her life before her life here. Her life below the surface. Kyoko smiled as her mind drifted back to the music. It made her so happy. So, worry free. A way she was not often. Everyone around her could be an enemy. She had to go through life not knowing. A feeling she did not like. A feeling like hurricanes. She loved rain, water, but she remembered her days below the surface and the way many of her friends were killed by violent hurricanes. They terrified her. She pushed her wire rimmed, round, glasses up her nose. Her dark blue hair was pulled into a high pony tail at the back of her head, her bangs laying across her face. It was laiden with assorted white beads. Her blood red eyes, frightened many, considering she was a quiet girl, staying in the back (of Migami) and hardly laughing, though smiling came naturally. Toshimo smirked. But when Kyoko heaved over in exasperation, his face became quite concerned under that carpet of scraggly hair. He gently padded over. "Eh, Kyoko? You okay?" He scratched the back of his neck, his left foot instinctively begging to tap to the guitar's beat. His hands were both thrust into his pocket, the board rolling freely somewhere afar. He leaned against the chin link bit closest to her, his eyes filled with worry, and his hand restless. He wanted to comfort her, he did. But he couldn't. He was not that kind of person. Shiromi grunted when Takeshi snatched the guitar away. He stamped a foot. Once it was returned, after a few tune tweakings, he smirked back at Takeshi, then leaned back and continued playing. He tapped his feet to the beat a drum would make if one were available. He nodded his head along with the music, an up-beat, jumpy J-pop song, which obviously should've had lyrics, but no one knew them. As Tsubasa played, his fingers danced across the chords, and his eyes became watery in the far back to where they glistened in the sunlight with a deep, deep passion; a deep passion for the very music he was playing, possibly. He closed his eyes, bobbing his head to and fro as he came into a more jagged part, strumming single strings to add to the jagged affect. It was a truly interesting number, but it sounded fantastic this far. Kiri danced. Her body would lock and flow to the beat, and pull and push, and bend and snap; She was pretty fantastic. She always enjoyed the arts, and Dancing had to rate as her favorite of them. She loved the activity involved. She usually always planned out her moves in the first verse, considering she gets a flavor for the music. Now, her knees locked wide, and her torso dipped and swayed thrice, left, right, left. Then she jumped up and did a robo-tronic-belt-hook, a move where you cross your arms over your waist, and pull out in a flick. It matched the jagged parts well, and gave her dancing texture. She brimmed with happiness as she dance, mouthing bits and pieces of the lyrics to the song Shiromi was playing. She only knew a bit. She continued moving in her grey sweats and fitting, grey work-out tank. Her body was heavy with sweat, but her face was lightened with joy. She LOVED dancing. She truly did. So, this far, it seemed that the friends were having a mostly-good day, despite Toshimo and Kyoko. The sun was shining and there was a welcoming depth of blue in the high skies, and streamers of clouds danced across it, layering certain spots in a marshmelloy-white. The tall grasses and blooming blossoms surrounding the place made it spring with Spring, and the birds sang and rabbits sprang and the whole atmosphere was serene. Tapping feet, and Guitar chords and laughing and smiling; Today seemed like it would be a mostly-good day. But they could only guess. . .
Takeshi's eyes flickered briefly in worry over to Kyoko, where she huffed, cradling her head in her hands, while Toshimo leaned over her. His gaze softened slightly. Toshimo was obviously quite fond of the girl, as well he should be; Kyoko probably needed someone to look after her. Takeshi still hadn't met this brother of hers, and though, through various conversations including Migami, he sounded like he was protective of Kyoko, Takeshi still thought that she needed someone she could look to besides her brother. Someone who loved her, someone she loved. Takeshi stole a glance over at Shiromi, and a small smile lit up his face as he listened. He didn't know the words, but immediately his mind tried to put lyrics to the music. He shut his eyes, leaned back and draped an arm over Shiromi's shoulders. When he opened his eyes, he saw Kirimei strutting around, waving her body this way and that. He made a scowl, and it took him a moment to realize that she was not flailing, she was, in fact, dancing. He cocked his head one way slightly as he watched through narrowed eyes. He didn't really understand how that could be considered dancing. Wasn't it supposed to be with two people, and swinging back and forth? Takeshi grimaced and tossed the question from his mind, looking back down at Shiromi. His smile was instantly restored. "I-I- I'm fine." Kyoko muttered rising to her feet. "Really." She met Toshimo's worried gaze. She smiled. She loved that face, those eyes. "Really." She said again. She glanced down to her watch. Her smile faded. She loved this song and she wanted to stay. To sing. Well, it was an obvious no to the second even if she had the time. She had such talent. She sang beautifully. "I have to go." She met his gaze again. "Practice with Migami. If I'm late... I'm not sure even I want to know." She ran up to the studio in which her brother worked. It was a weird combination. In one half, a gym, the other, an arena for krav maga. Israeli self defense. Monday and Wednesday was gym. Tuesday and Thursday, krav maga. It was Tuesday. After changing into suitable clothes and gear Kyoko ran out to meet Migami on the mat. "Welcome, sister. Just in time. Let's start!" He smiled in his goofy way. Toshimo huffed. He walked away from her and grunted, leaning against the fence. Toshimo watched her with care as she left, his eyes set on her navy hair as it danced with the breeze. He sighed, looking away. He wished he was a different person, so he could run to her and embrace her. But he wasn't like that. He never was and he never would be. Shiromi strummed the last few notes, slowing the pace and causing Kiri to halt at her dancing. Shiro stood, and rested his guitar in it's case. He picked up his board, kicked it down, and pushed off. He did some simple flips, considering he wasn't all that great. Kiri followed him, much more excelled than Shiro was. 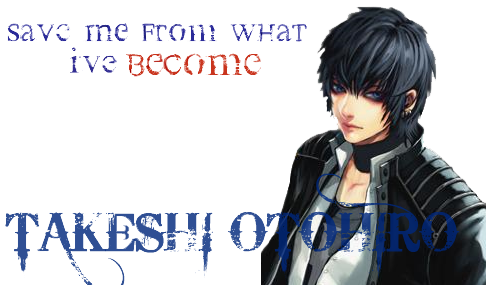 Toshimo continued complaining in his head, leaning against the fence. Kiri's tricks were complex and fancy, much like Kyoko's. And, Like Kyoko, it took her weeks, and possibly even months to learn them. Now, she boarded on one ramp, did an air-ollie, triple flick, snitch, and landed another ramp, grinding a it's top, and reversing down. She did a pivot kick, and balanced at the opposite rim, altered and slid off landing on the pavement,. She sent herself towards the fence, grabbed it's top, and lifted herself and the board from the ground, using all momentum she'd built up. She flipped and grinded along, then pushed from the fence and landed roughly, stumbling off her board and squatting. Kiri's face was dappled with beads of sweat which rolled off of her cheeks and moistened her collar of her shirt. She used the back of her hand to wipe some sweat from her brow line. A bid red scrap dotted her knee with little pokes of blood. "Stupid pavement. . ." She groaned, standing and resting her hands above her head. No pit stains, at least. But her deodorant actually worked, so she had reasons. Toshimo was still up against the fence, though in another section of the fence. He wanted to assure Kyoko's safety. Thank God Kiri wanted to see Migami. "How bout we go watch yo-chan practice? She always enjoys it when we drop in." Kiri giggled and smiled. Toshimo acted hesitant, then finally nodded, while Shiromi nodded away. "Tsbasa yes, Toshimo yes. . . Takeshi?" She cocked her head to her elder brother, poking his shoulder with a manicured finger. "Whaddaya say, big bro?" She looked from him to Shiromi and back, then winked. Shiro cocked his head, curious of what was going on. Kiri elbowed her brothers side. "Say yes, because we're going." He grabbed his arm and pulled him with much strength after herself. Toshimo and Tsubasa followed beside one another. They were off to the the Wizard; the wonderful Wizard of krav maga, and his little sister. Because , because, because,because, because.... because of the wonderful things he was. And his little sister, too. They both were very smart, had big, sweet hearts, and were very courageous when needed to be. And that's why they were loved. Takeshi had always been a loner, and had always liked things to stay the same, and many times, the man would glance around when he was with his friends, and ask himself if what he did was right, if he should really be here, with his friends, with Shiromi. Sometimes, as he lied in bed at night, he thought about his life before this, about his life when he was the only one he had to worry about. Nothing was complicated back then, and he just felt so...so free. Now everything had changed. His life was completely different. And was it for the best? He asked himself that question nearly every time he saw his companion's faces. At least their smiling, warm welcomes helped him forget about everything he was running from. "How bout we go watch yo-chan practice? She always enjoys it when we drop in," came a feminine voice that snapped Takeshi's mind back out of its trance. He blinked a few times and glanced over at his sister. He had hardly heard what she had asked, and didn't say anything as Shichan and Toshimo nodded, though he was hesitant at first. "Tsbasa yes, Toshimo yes. . . Takeshi? Whaddaya say, big bro?" she asked, finger poking at his shoulder. Doesn't sound like I have much of a choice, he thought as he looked at his sister. "Say yes, because we're going." Takeshi frowned. Well I guess that settles that. Kirimei's arm wrapped around his and she yanked him off the picnic table. He scowled as he was pulled forward, and hopped off of the table, reluctant to move. Swiftly, the man grabbed his pack of cigarettes and a lighter, and pulled away from his sister to light one of his cigarettes, before popping it into his mouth and stuffing everything else back into his pockets. Then, with great reluctance and a heavy sigh, Takeshi forced himself to step after his sister and his companions, who were headed to who knows where. "Where are we going?" he wondered aloud as he caught up to Shiromi, and matched his pace. Takeshi stole a glance at the boy, and puffed his cigarette, stuffing his hands into his pockets. "Oi, Shiromi, do you ever skate board?" he asked quietly as he looked at the boy, being more social than usual. Well, everything was changing after all. And maybe he was no exception. Kyoko blinked hard. Almost as hard as the punch Migami had just delivered to her nose. Though Migami was ultra-protective, he would fight just as if he hated his little sister, to gove her a taste of those who do. "I've trained your reflexes better than that!" Migami yelled. One of the younger classes had gathered around to watch the two spar, just as they always did. Migami threw another punch in Kyoko's direction. She dodged it by leaning hard to the right. She grabbed his wrist and twisted. Hard. She pulled her knee up and pushed it down on his arm, causing his to collapse, arm throbbing. As she came to deliver him a knee to the face, he ducked underneath her, grabbed her ankle and pulled it out backwards. She twisted her ankle in his hands and was now facing him, leg out stretched in front of her, held by Migami. Migami pushed the bottom of her foot, causing her to fall back wards. He pinned her to the ground. He flashed a smile. "I win." He said. He stood up and began to walk away. Kyoko leaped up placed a flying kick to the back of Migami's unsuspecting knees. He sank to the ground. Kyoko jammed her thumbs into either side of Migami's neck, knocking him unconscious. She flung him over her shoulder. She was extremely strong. She shot a glance through the window looking into the gym. She laid Migami down on a spare mat and stared in awe at the man standing on the other side of the glass. She glanced down to Migami and back up. The man had disappeared. She knew that face. Kyoko's hair was aflutter around her body. The pony tail had done no good. She smiled as she helped the kids with their forms until Migami would come to. She estimated about three minutes. A small bell went off. In unison all the kids screamed, "SNACKS!!!" Kyoko giggled. She ran out and into the lobby. She grabbed a box of all sorts of snacks and treats and water bottles and kool aids and capri suns. She set it out before the kids and they all took their pick. She sat with them and got herself something. About three minutes later, just as Kyoko had predicted, Migami came to. He stumbled over to the circle of snackers and sat down next to Kyoko, rubbing his neck. Kyoko had blood down her sleeve and on the edges of her sock. She was holding a tissue to her nose. Migami had a black eye, two small bruises on his neck, and two more to match on his right upper arm and right wrist. The two looked over each other. They started laughing. "Good work." They both laughed through the pain. The children were giggling now too. "I'm going to go clean up." Kyoko smiled standing up and heading to a sort of locker room, I suppose. She cleaned the blood off and changed into another gym uniform, not stained with blood. She cleaned her face and washed her hands. She stared at the odd birth mark that she had always had. She always wondered about it. It was in a sort of cresent-y shape on her left palm. Migami had one, too, but his was odd and discolored. Kyoko bounced back into the gym, holding two guitars. Smiles broke out on all the children's faces. Migami took his guitar and Kyoko hers. She was so shy, but here she knew that the children would judge her for skipping a beat or screwing up a chord. She began to strum and Migami quickly caught on. They were playing the song Wonderwall by Oasis. It was a kind of mutual feeling in the song the siblings shared. Kyoko started, hoping no one would walk in. No one to judge her. She hoped this wasn't one of those days her friends popped in to say hello. By now, shoulda somehow, realized what you gotta do......."
The only things they had left that no matter what would always be a bonding time for them, it was music. Kiri pouted with anger, making herself tall and flat as she walked awkwardly, more like a waddle. Her eyes sunk and she continued to the head of their little four-mutt pack. Toshimo was directly behind her, walking as he usually did with his usual hunch and his usual droop, and he stepped with his usual stride, but there was some unusual in her eyes. His mind was on Kyoko. It was ridiculous how often he'd been thinking often lately. Maybe it was because they'd made so much more eye contact than they used to. Yes, that had to be it. He grunted, rolling his shoulder and continuing forward. Shiromi spun on his heel to face Takeshi, walking with a slant. He pressed his palm to Takeshi's forehead. "smart one. . . I just got off of my board." He closed one eye, dragged the other eyes eye lid with his finger, and spat out his tongue , wagging it at Takeshi : A very immature gesture. But that was Shiro--Very immature. He carried his board under one arm, keeping his eye closed but releasing the eye lid and withdrawing his tongue. He rested his spare arm above and behind his head, and let out a boisterously noisy yawn. The group walked on for a few more miles until the white and navy gym building came into sight. When it did,Toshimo's pace quickened and his deep eyes seemed to flood with life as he passed them all by, trying to remain unnoticed, which was an easy task for him. The others kept at a natural pace and arrived in a matter of minutes, Toshimo already leaning against the door way. Upon entering, the first things in view were the secretary/check in desk. This was something like a YMCA, you had to have registration and license, or lessons. Otherwise, you had to register on the spot or pay ten bucks. Luckily, each of the friends, other than Takeshi) had member ships. Kiri coughed up ten bucks for her brother, and turned left. She came upon two racquetball courts, one across from the other, then spun on her heel and returned. "Wrong way. . ." She uttered under her breath. She walked past them all and went to the right, instead. Down this way, there were three gyms. The first, a basketball/ volleyball court with two lines of bleacher-- recreational team games were occasionally held here. The second gym was a ballet/ aerobics gym, with work-out machines like a treadmill, biker, and weight press in the top left hand corner. The third gym was the last until the pool room, and it was a self defense gym. In other words, boxing, krav maga, Karate, Tai kwan do, Brazilian No Justu, and kick boxing were all taught here, and all the needed supplies was neatly stored in cabinets and cubbys which lined the back wall. On the inner wall of each was a one way mirror. Looking in, one could see the classes, but looking out, the window was a simple mirror. Toshimo quickened his pace and reached it first, not even bothering to go inside. There were two ugly plastic tables in front of the window, each clad with two matching ugly plastic chair. He took a seat in one, simply watching Kyoko in utter amazement. Her hair lightly danced around her, a ponytail holder holding only the smallest bit at the very bottom in the direct center of her back. He fingers were prancing along the strings of her guitar, and her face was soft and her eyes were sweet. Toshimo stared into the longingly, keeping his face hidden behind his curtain of hair in hopes to pass unnoticed. He rested his head on his hand and just stared. As Kiri passed behind him, intent of entering. He grabbed her arm and stopped her. "Don't She's singing. Wait 'til she's done with her class. She'll come out eventually." He hardly even looked up, dragging Kiri into the seat beside him. She willingly sat. Seeing Migami from here was fine with her. You see, Shiromi hadn't payed any mind to the others. He was blowing cash at the arcade, playing expert games of Dance Dance Revolution, and those zombie Apocalypse games you so often see. His feet would flutter and his thumbs would fly and his eyes would dash from here to there, and he'd collapse against a friend as usual. But only Takeshi was there to collapse on. . . so he avoided that and sprawled on one of the four benches sloppily placed about the arcade room. HE beckoned Takshi to come over and sit by him, waving his hand s violently in a gesture to pull him over. "Takeshi. Sit. I'm bored... and..." He gasped for air, his legs still tingling from the last round of DDR he'd played. "And I need someone to, you know. . . Talk to." He ran a hand over his sweaty forehead and through his sweat-drenched hair, which stood up from the moisture. He didn't bother to primp, prod and perfect it. He just flopped against the benches back, inhaled and exhaling very, very deeply. The air was mixing. With what? Who knows. . .
Takeshi followed along like a puppy, not really caring where they were going (though he would have preferred using his bike to get there). 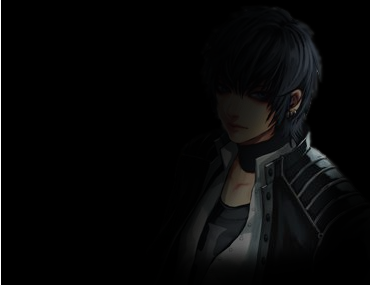 He frowned as Shiromi's statement, and shrugged, looking down at the ground. "I wasn't watching," he mumbled defensively. He rolled his eyes playfully as Shiromi stuck his tongue out at him, and was tempted, briefly, to return the gesture, but simply rolled his shoulders and decided against it, walking along as if nothing had happened. Takeshi was utterly lost around here, and had hardly any idea where they were going, and so he was grateful that Kirimei was leading them there (though he'd never admit it). Takeshi watched as Toshimo sped ahead to get there first, but disregarded it as usual Toshimo behaviour. He walked along with the group, hands in his pockets, slumped over slightly, nearly mimicking Toshimo in the way that his hair fell over his face like a curtain. He cast a hesitant glance at Toshimo as he past through the doorway, and nodded gratefully at Kirimei as she paid for him, embarrassed that his sister had to pay. Takeshi followed Shiromi through the building, and ended up at some sort of arcade. He watched as Shiromi inserted coins into a "dance dance revolution" machine, and began stomping on the arrows. Takeshi cocked his head, not really understanding what he was doing, but the whole situation was amusing. A few times, Takeshi let a snicker escape, because of how ridiculous Shiromi looked, stomping on random arrows to the beat of music. The game went on for a long while, and Shiromi reloaded the machine with money a few times, before collapsing onto the bench next to Takeshi. Takeshi glanced over at him, raising a brow at what the boy said. "Alright," he murmured. "What do you want to...talk about?" Kyoko giggled at the little kids trying to sing along. There was one kid though, she wasn't sure about him. He sat, back against the wall, looking extremely bored. As the song ended she turned to him. "Do you like music, Mika-chan?" She asked. "Fighting. That's why I'm here. I like watching you two fight as well." Migami shot Kyoko a smile. She shuttered. She knew what was coming. "Well then, let's get to it." Migami said standing, waiting on Kyoko to throw the first punch. Half the kids turned to watch. The others snuck snacks and plucked at the two guitars. Kyoko sighed and stood as well. She launched her self into a flying kick, aimed at Migami's gut. He caught her foot, thrusting it upwards and watching her hit the ground hard. She literally rebounded of the floor. That's going to hurt tomorrow. Kyoko stood up and rubbed her back. Migami threw a punch toward her shoulder. She ducked and launched herself at his feet. As she went to trip him, he stomped down on her hand. "Agh!" Kyoko cried in pain. She stood. Anger issues, come to my aid! Kyoko managed to get a kick to the gut from Migami. She saw him wind up to deliver a punch. As she was about to block she saw some familiar faces through the window. Whap! Kyoko's hand flew to her jaw and she dropped to the ground. Migami wiped his forehead on his sleeve. He offered a hand down to Kyoko. Kyoko took it, right hand still to her jaw. Migami put his hands on her shoulders and pulled her close. "Don't let your anger get to you. You jam your thumbs in my gills again, it'll be worse." Huh, tough love. The two smiled. "I think you dislocated it." Kyoko said sarcastically as she rubbed her jaw. Migami wrapped an arm around Kyoko's shoulders. "C'mon! My friends are here!" "Including Tsubasa?" Migami sighed. "The little..."
"Be nice! It's hard enough to make friends here!!" Migami put on the fakest smile you ever saw and barked some drills at the kids. They got up and started the drills as the two walked out into the lobby. "Kiri-chan!" Kyoko called, parting from her brother to hug her friend. "And Toshimo!" She said. She was a huggy person, so she leaned over the back of his chair and wrapped her arms around his neck. She retracted. "I'm so glad you all came! Takeshi hasn't got to meet Migami yet, so maybe he should. He likes to meet all my friends..." After 'came' it was more to herself than anyone else. As she rubbed her jaw she felt the long scar on her left cheek. That reminded her. The man she saw earlier, she was sure it was a headhunter. That is what Migami had told Kyoko the men following her were. How they wanted to kill her. But she was never told why. Kyoko didn't like not knowing, but, what could she do? Migami was as tough as a brick. "Tsubasa!" Kyoko yelled noticing her best friend. She ran over to the table he and Takeshi were lounging on and wrapped her arms around his neck. "Takeshi, this is my brother, Migami!" She grabbed Migami's hand and yanked him over to the table. She would hug all her friends, but she wasn't as comfortable around Takeshi yet, so she just smiled. "Hey." Migami sighed, extending a hand in Takeshi's direction. Kiri lit up. She took Kyoko's embrace and rocked thrice, as if she hadn't seen her friend in forever and this was some faithful reunion. She squeezed, pulling back and simply holding her shoulders. "Great fight, you two." She smiled. Then looked at Migami and blushed slightly, immediately turning away. Next was Toshimo. When he felt Kyoko's arms embrace him, his cheeks became heated and red and his head sunk lower and his eyes became slits. His hair fell in front of his face as a fortress, so that no one could see even the slightest bit of it. "Erm. . . hey." He chocked, attempting to sound as casual as he could. HE was breathing in little breaths when she left, feeling odd after their hug. Had she ever really hugged him before? Not really. That was a squeezing, 'Love you, buddy" kind of hug. He actually smiled. Big. Unlike the regular Toshimo. He figured he'd have to give her a decent hug sometime. Shiromi opened his mouth to speak, but before he could, his name rang through the room and belted through his ears. Tsubasa flailed a bit, taking care to avoid hitting Takeshi or getting in his face or anything. His smile was ear to ear. He remained seated but reached up and puled Kyoko down in a side hug. His kissed the side of her head as he commonly did in a "best friends forever" kind of way. He smiled up at her, then continued smiling warmly to Migami. Though her brother hated his guts, Shiromi still loved Migami like his own brother. And he loved Kody too. He often wished he could've met their long lost brother, but that was out of the picture. IF only people were decent enough to leave victims with the slightest bit of life still in them. If only. Kiri watched Migami. She felt awkward doing so, but she did want to say hi. So She waited for her brother to greet him back and then she would smile and shake his hand or something of the like. Yes. A handshake. That's all that would ever become of them. After all, wasn't it a bit wrong to be in love with your best friends' brother? So the three smiled and hugged and goofed off while Toshimo sat at that ugly table in the ugly chair, staring at the groups of kids. Some were scarfing the countless bags of chips down into their stomachs and slurping the boxes of Minute-maid, and packs of capri sun. Why did they insist on feeding these kids these American brands, he wondered. He paneled over to the kids attempting to strum the strings of the guitar. They laughed each time a note was out of tune or a kids' voice cracked or a certain combination made the chords sound creepy. He cracked a smirk, but his face became bland again when he saw the lone bone in the corner, punching punching bags, practicing high and low kicks and the like. He peered at him. This seemed so much like his own childhood. He was always at home, working on self defense and making everything his father and brothers wanted while the other kids he knew were playing and being kids for real. HE frowned, and stood. He entered the room, brushing back the hair in his face. He smiled lightly to the kids he passed making his way to the lone boy. Takeshi couldn't suppress a growl at the way Shiromi and Kyoko touched, especially the kiss that Shiromi planted on Kyoko's cheek. But the man simply let his arm rest on the top of the bench, and looked away, fist clenched. He looked over at Kirimei, narrowing his eyes at her behaviour as she stared after the man who walked alongside Kyoko. He frowned. Was everyone falling for another around here? Takeshi scratched his head and sighed, casting an angry glance over at Kyoko and Shiromi. Suddenly a man was standing before him, and he glanced up to see Kyoko's brother, at long last. Takeshi frowned at the extended hand, and did not return the gesture, simply flicking his own hand in a lazy wave, offering a "yo", before leaning back against the bench, not giving any more attention toward the older man. "You've only said one word and refused to shake my hand and I'm already liking you better then Tsubasa." Migami scowled in Shiromi's direction. He grabbed Kyoko's hand and pulled her up from him and placed her at his side. "Oh SHUT UP!" Kyoko smirked at her over protective older brother. She pulled away from him and ran back into the gym. She had left her cell phone in there. As she picked up her cell phone she saw Toshimo over at the punching bag with Mika-kun. She trotted up behind Mika-kun and watched. When he drew back for another punch, Kyoko grabbed his elbow. "Hey! What're you doin'?!" He cried. Kyoko said nothing. She leveled his arm. She started smacking the palm of her hand against his fist. Harder, harder, harder. "I'm not going to give you the sweet crap I give the younger ones. Straighten your wrist. You'll hit harder. You're rolling your fist. Straighten your wrist." She kicked his feet with hers, pushing them into position. "This is your stance." She stepped out of the way and let him continue hitting the bag, a stern look on her face, one she didn't show often. "Toshimo, make him keep stance, don't let him roll his fist." If there was anything Kyoko was serious about it was fighting. And swimming. She patted Mika-kun on the back and then Toshimo. "You two play nice, kay? And just because you're American, doesn't mean you can slack off, Malachi." She whispered to Mika-kun. He aimed a punch at her, she blocked it. "Don;t they teach you Americans not to hit girls?" She called over her shoulder at him as she exitted the gym. Migami sat down next to Tsubasa on the bench. "So, what we talkin' 'bout?" Toshimo grinned and nodded. The boy threw a punch at Kyoko; Toshimo kicked his feet in. He pressured a palm and beat it against his shoulder. "Come. Come." He grunted, Pulling at Mika-kun after Kyoko's departure. He beckoned him to his his palms. He swung low against Mika-kun's ankles, making his knees cave in. "Stronger, stupid!" He chuckled, jokingly. He immediately connected with the boy. "Harder. iI know you can do it. Now, strike harder. With your knuckles and the heels of your palms." He grinned an evil-looking grin, just coaxing the boy even more. "Dunno. Just. . . life, I guess." He rested his hands behind his head as usual. He reclined back against the bench, grumbling something under his breath. He closed one eye. "So, Migami, what's new with you?" He smiled goofily. His legs bounced as he feet tapped and he narrowed his one open eye. He scanned over Migami, then Kiri, and then gave Takeshi a long look, smiling lightly. He saw Kiri flail a bit in the corner of his eye, and turned back to Migami. Kirimei frowned. She wanted to speak with Migami. 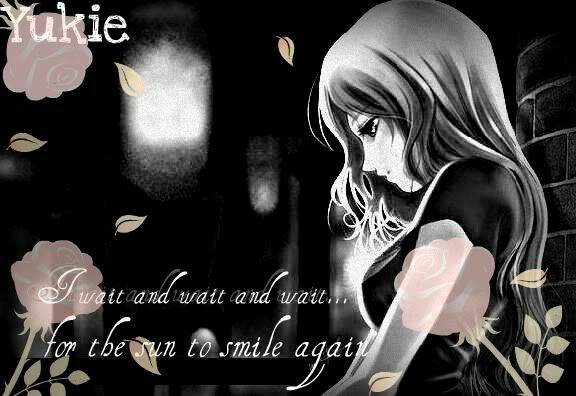 . . sometime. She wished she could tell him how she'd felt for a while. She truly did. But now, she just exchanged a dollar for six tokens, and slid two into the DDR machine. She began, moving fluently, her dancing much more beautiful than before. It was almost like ballet, with a few stomps here and there. Luckily, this song was slow, so it matched. She was out of view of the others, only glimpses of her strawberry-blonde hair flicking with her movements visible to them. She was lost in her thoughts, and her mind, and the like. She was just lost. So, we had Toshimo, fighting with and training a young man, while connecting with him as well. We had Shiromi, entirely confused by Migami and Takeshi. And , we had Kirimei, lost in her love and emotions. Takeshi frowned at the man, and put an arm around Shiromi protectively, pulling the boy close to him, eyes on Kyoko's brother. You've only insulted Shiromi once and I'm already disliking you, Takeshi thought bitterly, casting a glare in Migami's direction. But... he didn't know what had gone on in their past, and the thought made Takeshi frown. Migami could dislike Shiromi for something that Shiromi had done long before Takeshi had appeared, and so his hatred of this man would be completely unjust. But he still frowned at Migami, pulling Shiromi next to him. Migami offered a crooked smile and a single arched eye brow in the direction of Takeshi and Shiromi. "Is 'ere sometin' wit you two I sh'd know 'bout?" He laughed to him self. "You talk'n 'bout life? Hm, what 'bout life?" Migami knew he was prying. It was his specialty. Bugging the crap out of people to get the info he wanted. Kyoko skipped over to where Kirimei was and tried to strike up a conversation. "Gaw, Migami is some good fighter, huh? Got me beat. Hard. I wish I was more like him, but ya know. I'm me! You like to fight? I could teach ya some moves." Kyoko sighed to herself. Hanging round us may require a little fighting practice . . .
Kiri giggled and clapped. She jumped thrice. "Really, Kyoko!? That would be awesome! Super awesome! Oh, wow! I'll practice RESLLY hard!" She punched her hand, her expression suddenly becoming very determined. "I will--I mean, I will." At first her voice was squeaky, but she straightened it to a determined , dull tone, nodding once along with this. "Well, uh, erm, well, uh, Oh, I dunno. . .Well. . ." His face heated and he tinted a raspberry color in his cheeks and forehead. "Well, eh, I .. dunno... what you'd ... call it... erm..." He officially decided to shut up and back into Takeshi , embarrassed. Toshimo struck Mika-chan in the side of his head, at the temple, with a flat palm. "Structure! Keep it firm." He slid behind Mika-chan, adjusting his hands. "Hit. Hit. Hit. Hit. Hit. Hit. Hit. Hit. Hit." With each hit, Toshimo held Mika-chan's shoulders firm. "See that? Stronger. Keep that." He grunted, backing up and leaning against the wall again. Takeshi narrowed his eyes warily at Migami's question, before looking back at the ground. The man's slurred speech offered no insight to his past or his current being, and Takeshi was growing even more curious by the second. It was as if a wall was in between him and Migami; though Takeshi may have heard what lay past the bricks, he would never truly know. He could not see beyond this said wall, nor could he get past it. Unless somehow he could breach the barrier and figure out who exactly this man was, what he was doing here and what he wanted. However, until then, Takeshi could continue to theorize any opinions about the man he wanted. Right now, his opinion wasn't looking so good. Migami had some sort of hatred for Shiromi -- that much was obvious, if not for the snide remark before, then for the look in his eyes when he saw the boy sitting next to Takeshi. Though his opinion was completely unjust, for reasons stated earlier, Takeshi was already beginning to establish a deep disliking for the man. Takeshi's disdain grew as Migami continued to pry, and it was all Takeshi could do to keep from growling. In his mind, Migami was considering himself higher than Takeshi, in that so he could know everything that was going on in Takeshi's life (animal hierarchy). But Takeshi only offered a glare in Migami's direction. As far as he was concerned, Migami was the lower class here, and Takeshi was the dominant one. Tension continued to crackle in the air like sparks until Shiromi broke that tension with abstruse stutters of nonsense that dribbled from his sweet lips. However, Takeshi couldn't suppress the amusement that glittered in the velvet depths of his eyes as the boy turned completely red. The hand attached to the arm around Shiromi lifted, and pulled the boy's head onto Takeshi's shoulder. Takeshi stroked Shiromi's hair comfortingly, grinning down at him. "You're so cute when you're embarrassed," Takeshi murmured, teasing the boy quietly, while keeping Shiromi close to him still, protectively. He offered another glance in Migami's direction, saying nothing, before looking back at Shiromi and stroking his face with his thumb. Kyoko surpressed her giggle as Kirimei excitedly rambled on about learning to fight and how hard she'd work. Kyoko's efforts efforts failed as Kirimei's expressions changed to all earnestness and she put a determined look on her face. Kyoko let out her giggle and grabbed Kirimei's hand. "C'mon." She giggled again and entered the gym, dragging Kirimei to the center of the floor. "Okay, we'll start with basics. How to block a punch and a kick. Okay, Kirimei. kick me in the gut as hard as you can." Kyoko really hoped she wouldn't miss blocking this. It would hurt. She wondered what Migami was doing. She turned and he was looking in at them through the window. Kyoko smiled and offered him a thumbs up and patiently turned back to Kiri. "C'mon, Kiri-chan! Just kick me!" Migami threw his hands in the air as if in surrender at Takeshi's glance. "I gets it. 'S not m' place." He stood up and looked at the two. "Ni'e meetin' you Takeshi, go die 'n a hole Tsubasa." Migami bowed and turned to watch the happenings within the gym. He laughed as Kyoko attempted to teach Kirimei basic fighting moves. He was, though, impressed. She wasn't as crappy a teacher he'd thought she'd be, her having such a kind nature. Migami's mind drifted to Tsubasa. He sighed. That kid could never take HIS place . . . could never take Kodi's place . . . could he? It seemed like it. Did Kyoko like Tsubasa better than him? He didn't want to think about it. Migami caught a thumbs up from Kyoko and offered one in return. He smiled. Tsubasa couldn't take his place . . . could he? Kiri willed up all of her might, and finally delivered a kick at Kyoko. She clenched her fists and flattened her other foot for balance, then squeezed her eyes shut, and bit her lip. "Heeee-YAH!" She busted her leg straight out, aiming her heel at Kyoko's belly button. Toshimo continued working with Mika-chan, who as already improving. Mika and Toshimo were face to face, and with each step, Mika-chan would punch one of Toshimo's palms, which was flattened with curled fingers. He hollered, "HARDER! HARDER! HARDER!" causing Mika-chan's force to increase. He was creating a bond with this single kid. . . or was this single kid creating a bond with him? Shiro ignored Migami's harsh comment, and continued blushing uncontrollably under Takeshi's arm. "Take-kun!~ You're embarrassing me. . .!" He whispered , his voice raspy. He shrunk down, pulling the neck of his shirt and straining his neck, then falling back against Takeshi. He continued blushing, looking up at Takeshi . He was unconditionally, and unintentionally in love with Tsubasa Shiromi. Takeshi wasn't sure when these feelings had evolved, nor was he sure exactly why. He had always thought that he would be a loner his whole life, and that thought had never really irked him. Sure, Takeshi had dated a few times, despite himself, but he'd always ended up breaking up with them. There was nothing special about anyone he had met. They were all the same to him. All they did was talk about themselves, try to look pretty. There was never any spark. But Shiromi....Shiromi was different. And maybe it was for the reason that Takeshi did what he did. He was extremely protective of Shiromi, and wanted to keep him safe from everything. So when that snide comment came from Migami's lips, Takeshi lost it. He stood, fists clenched, jaw set hard and anger in his eyes. "Hey!" he snarled, "What the hell is your problem?